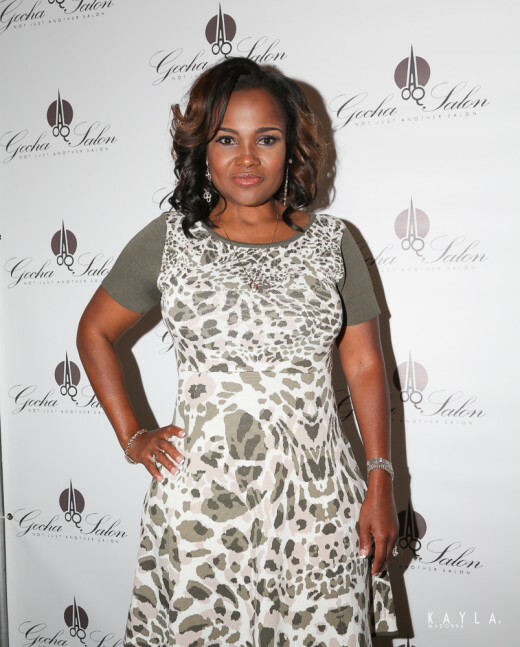 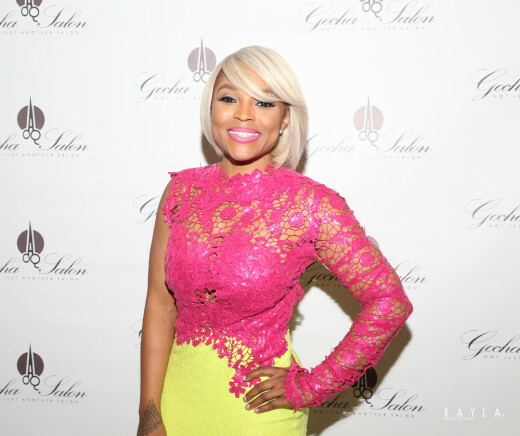 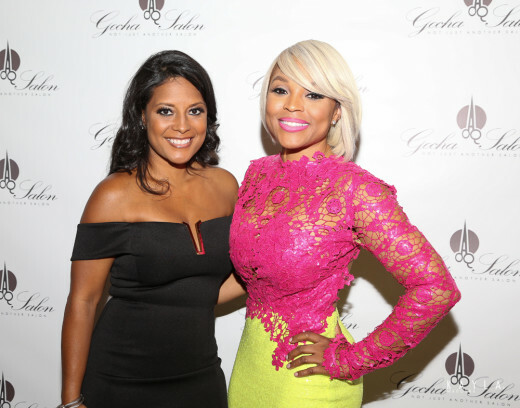 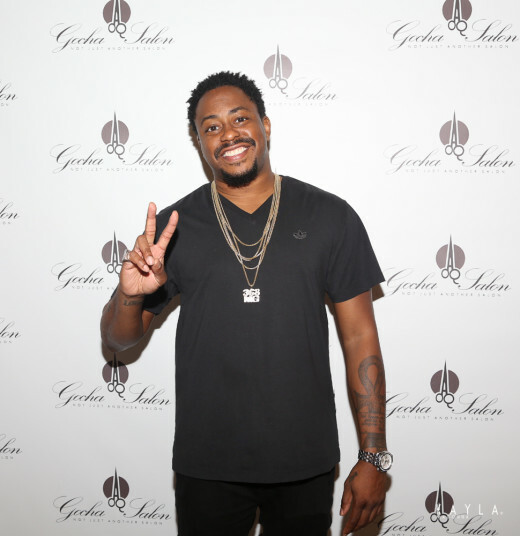 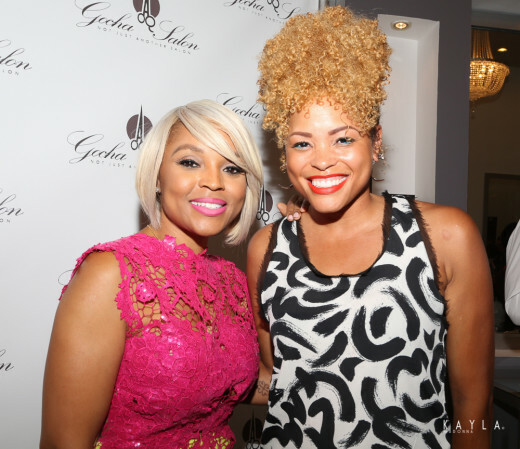 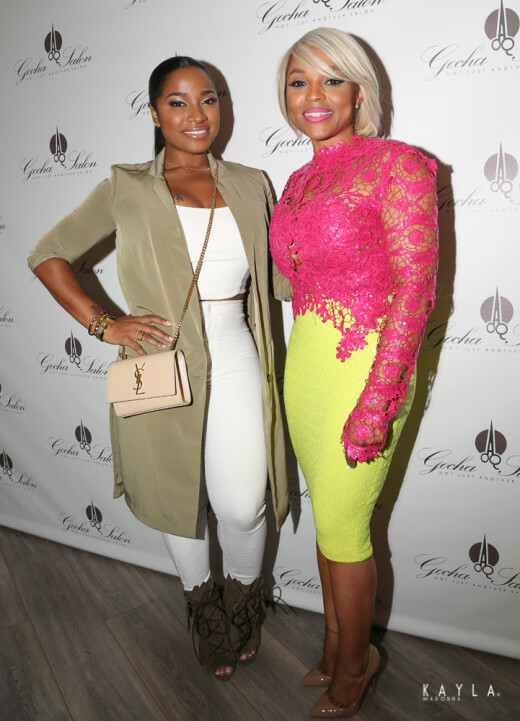 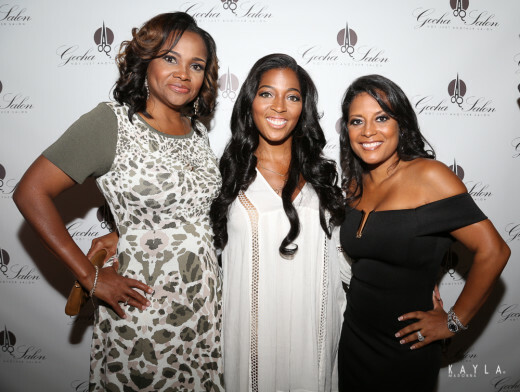 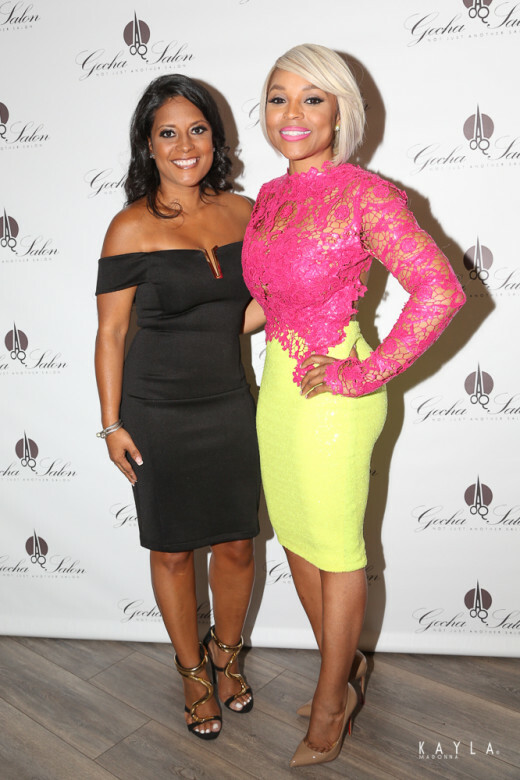 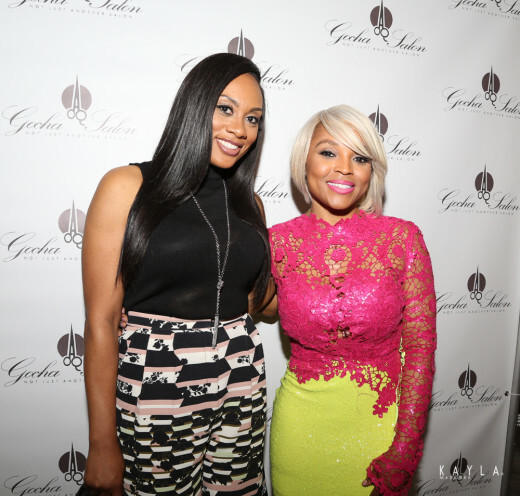 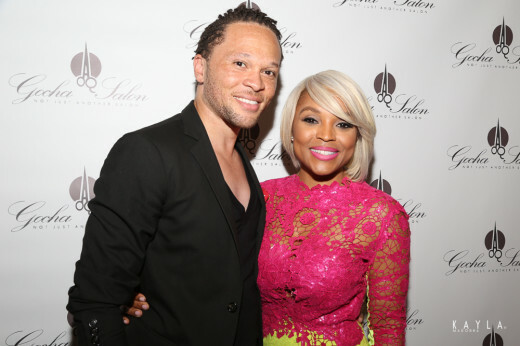 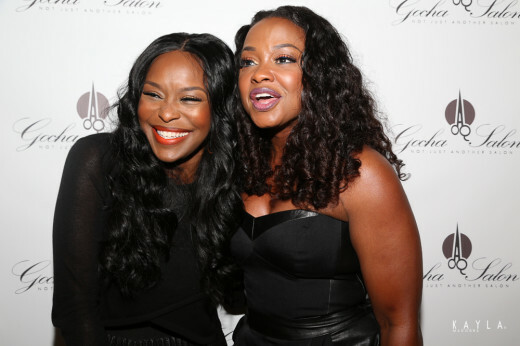 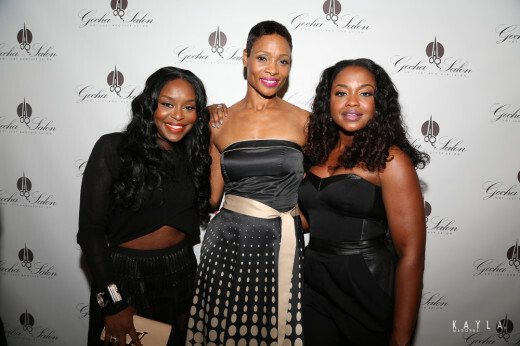 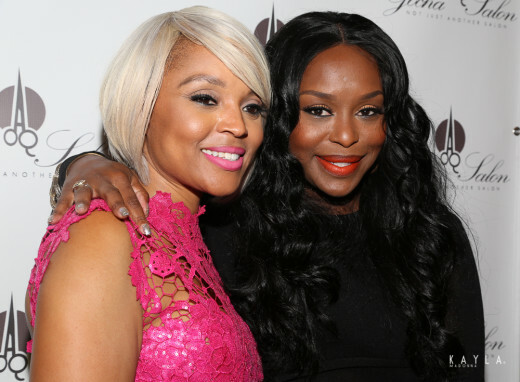 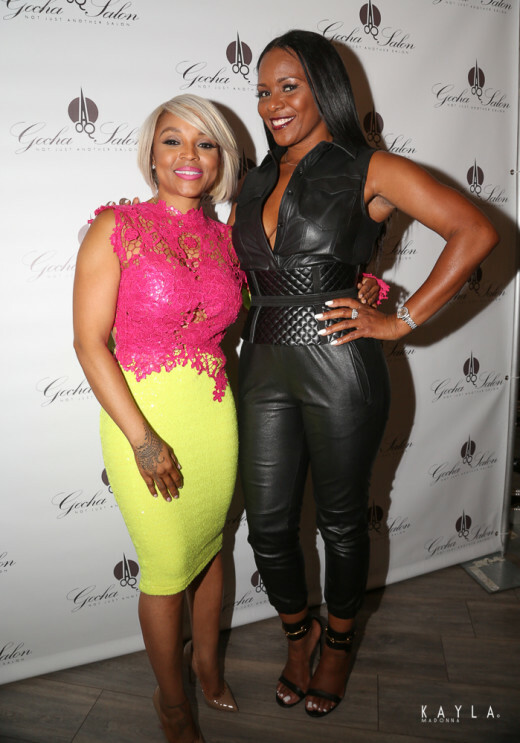 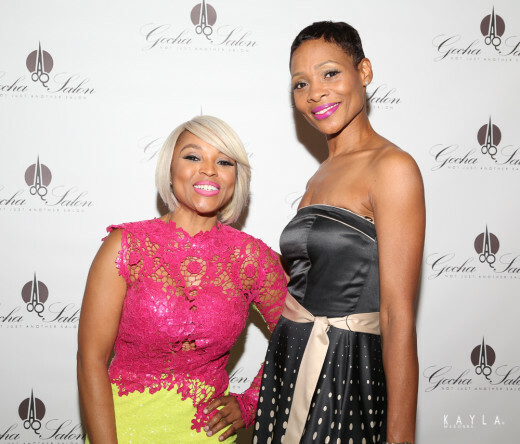 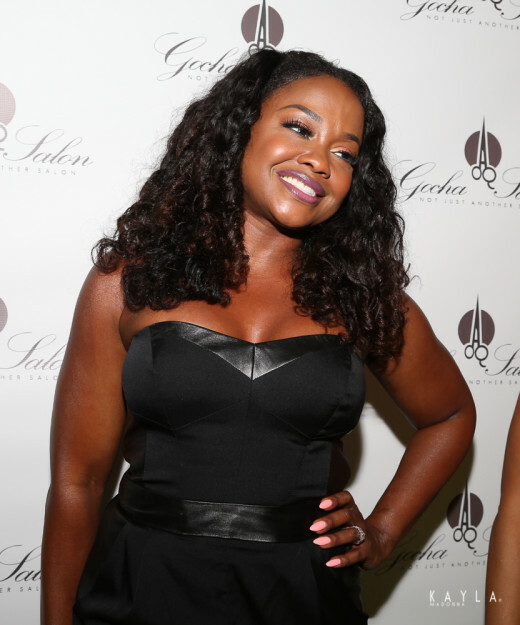 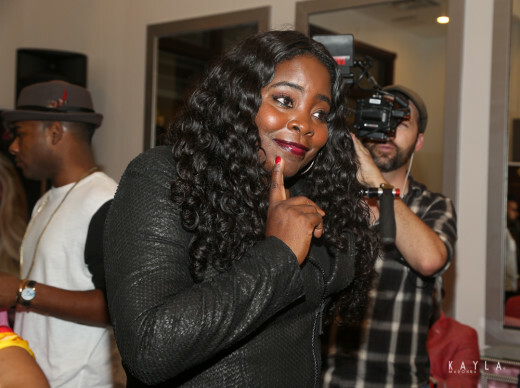 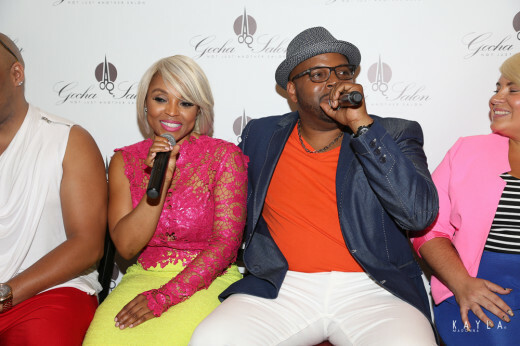 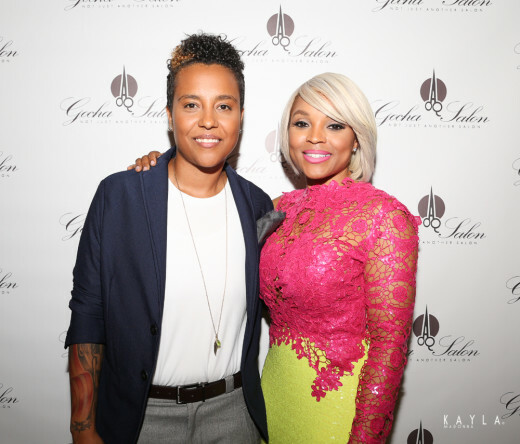 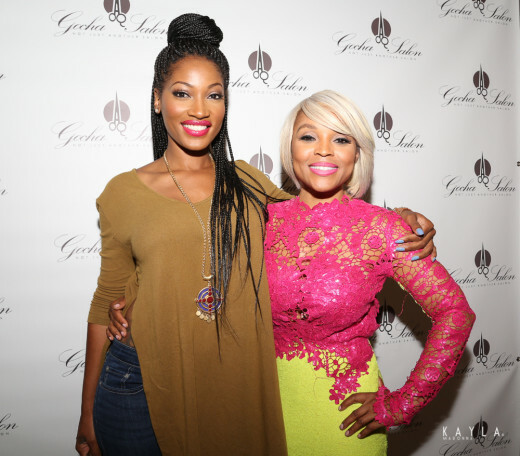 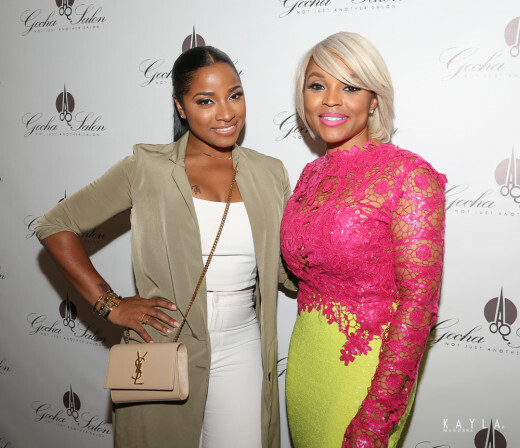 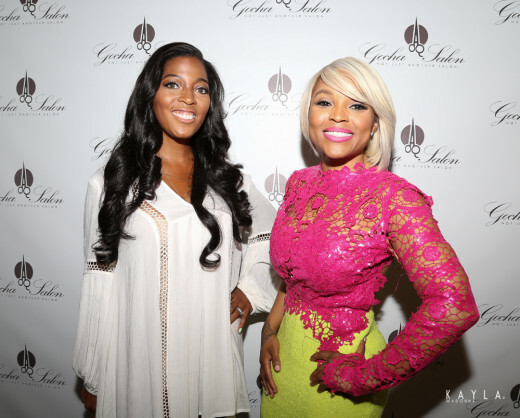 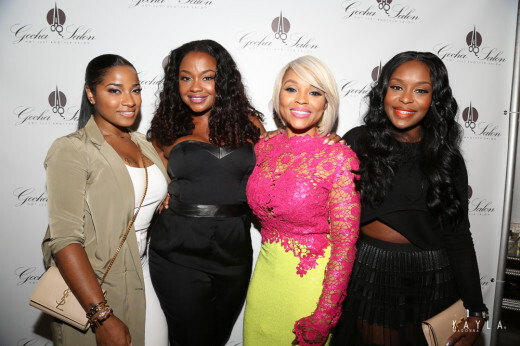 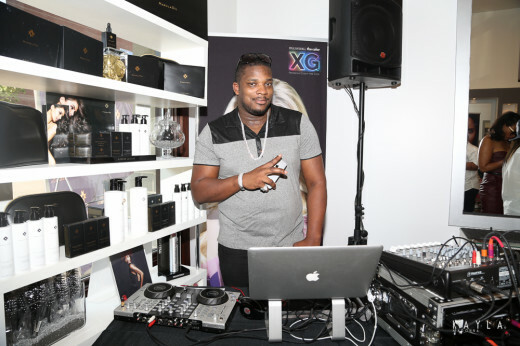 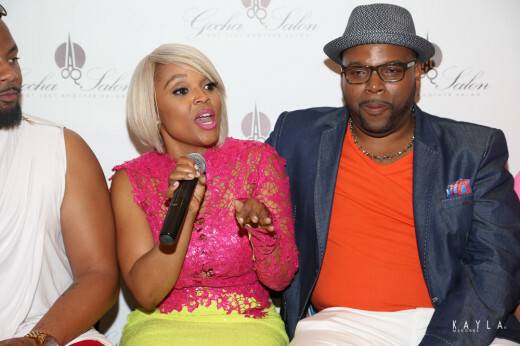 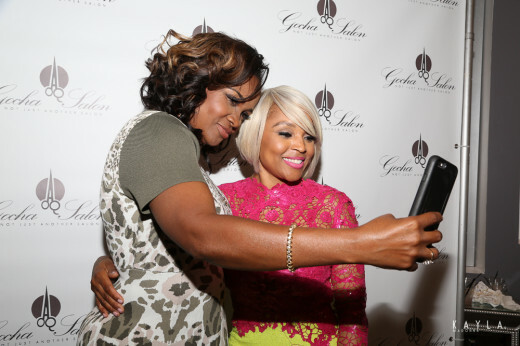 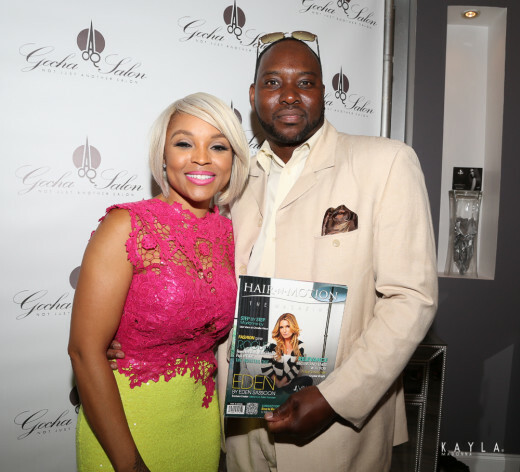 Celebrity hairstylist Gocha Hawkins celebrated the official grand opening of her new Midtown Atlanta salon during the 2015 Bronner Bros Hair Show weekend. 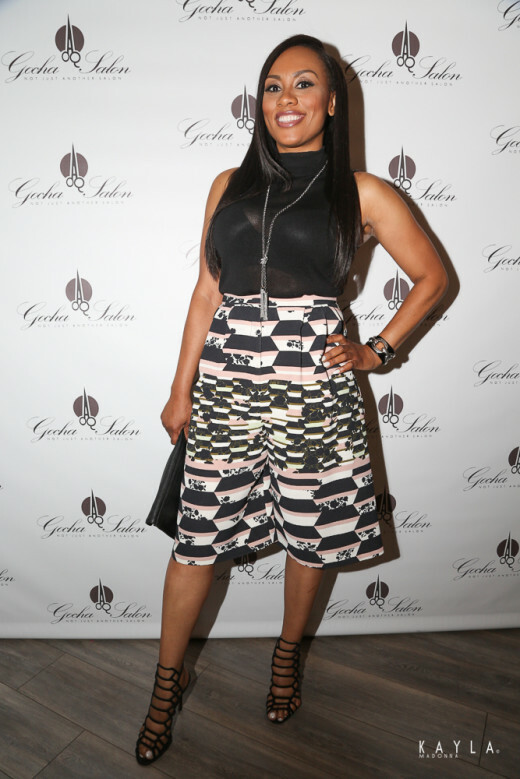 The star studded grand opening was over the top and everything that we have come to expect from our girl Gocha. 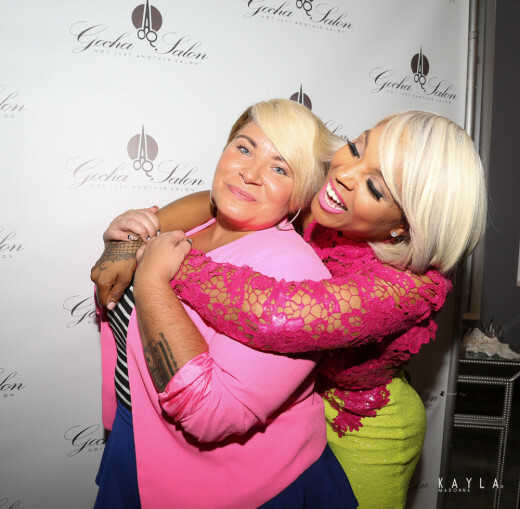 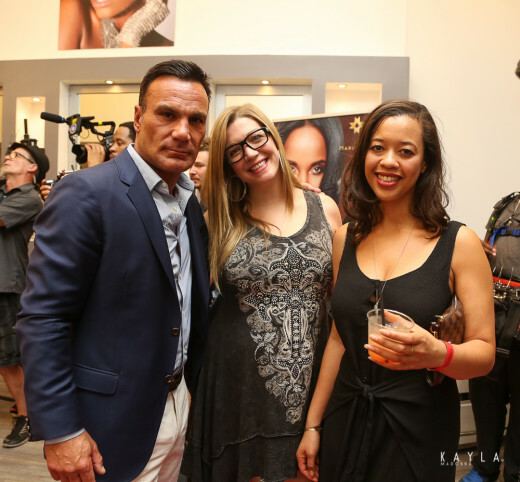 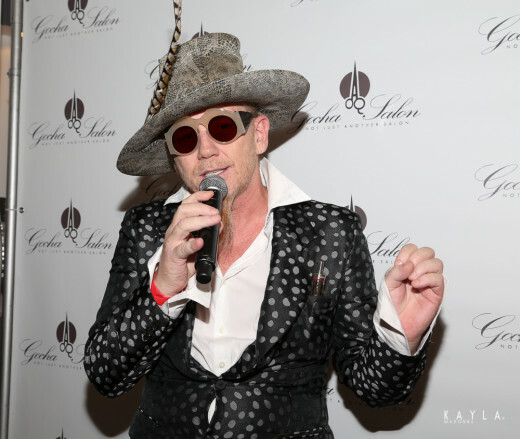 Gocha Hawkins opened her spacious, pink and silver Midtown Atlanta salon with much pomp and circumstances Atlanta came out in droves over 200 fans, friends and fellow WE tv “L.A. 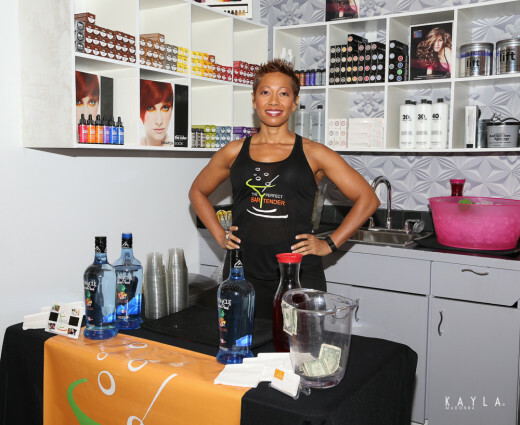 Hair” castmates enjoyed cocktails by The Perfect Bartender and indulged in hors d’oeuvres catered by Scales 925. 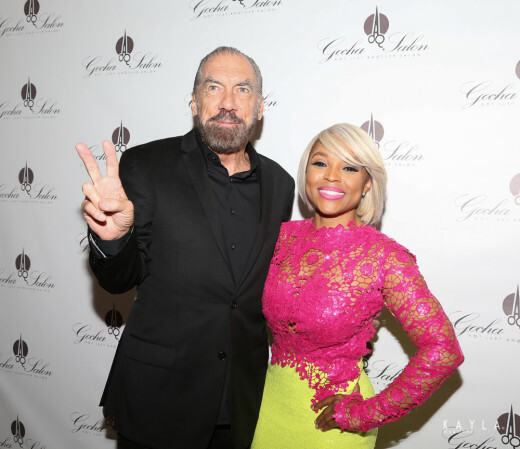 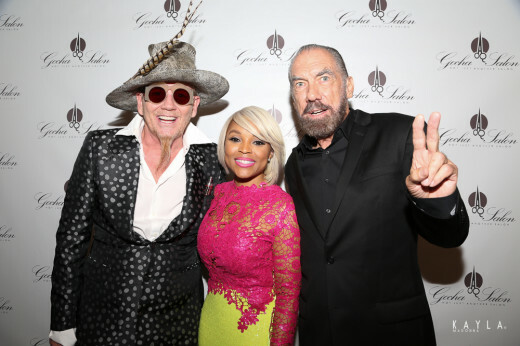 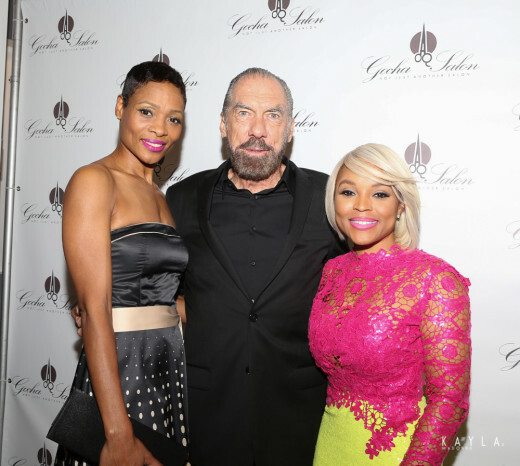 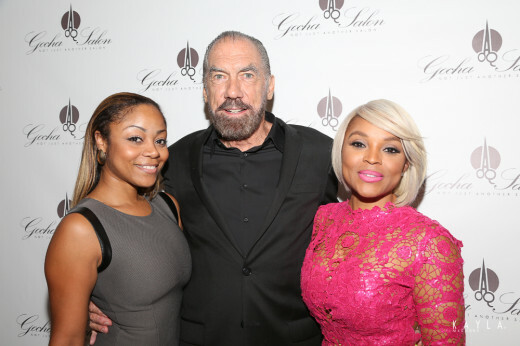 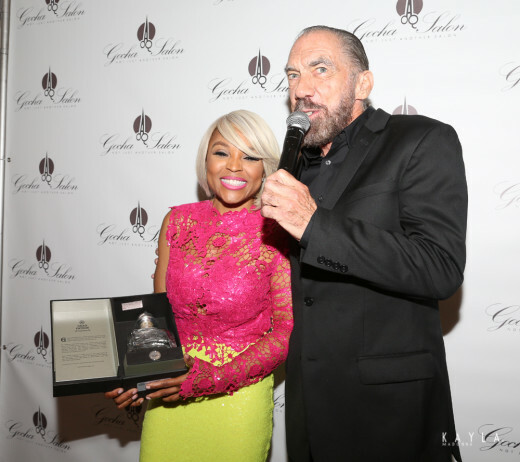 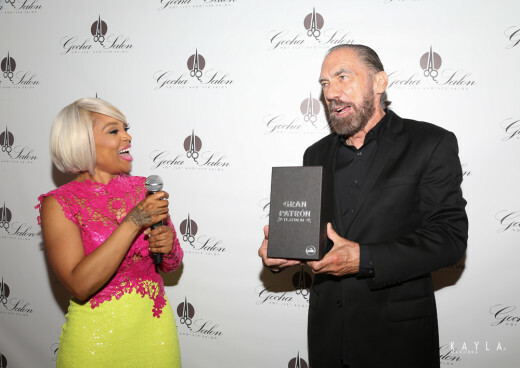 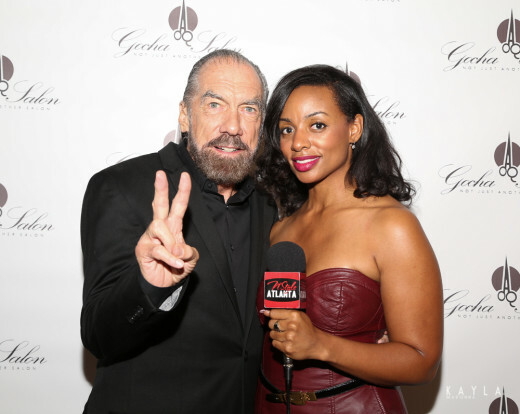 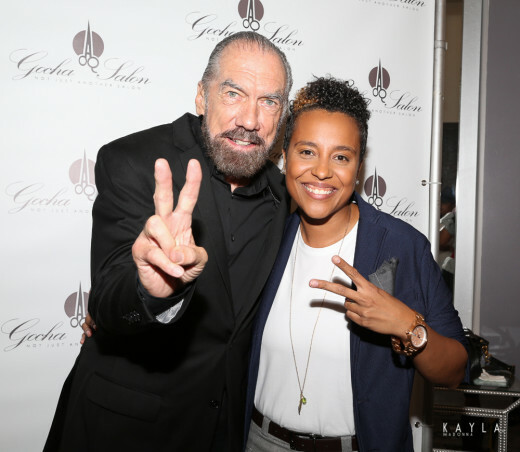 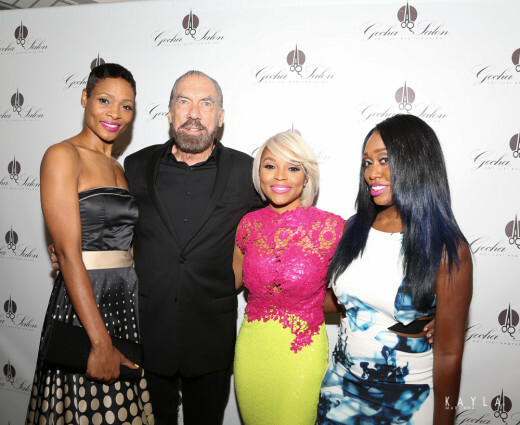 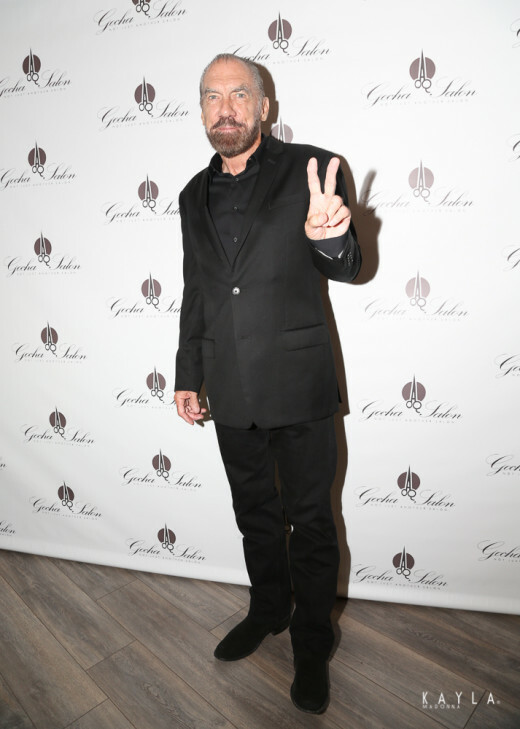 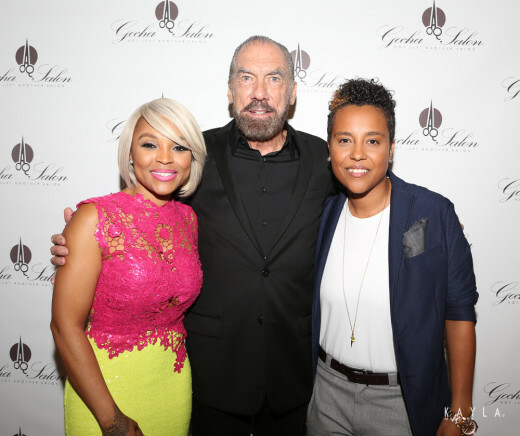 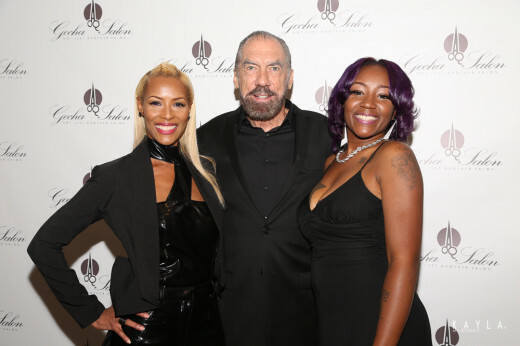 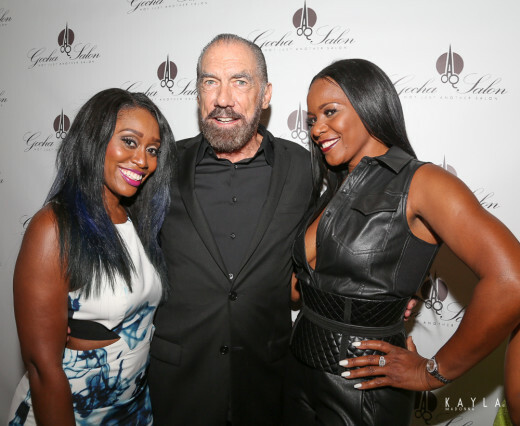 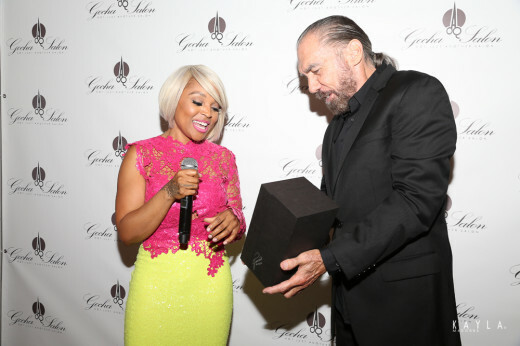 Special guests included John Paul Mitchell Systems founder and Patron Tequila owner John Paul DeJoria and John Paul Mitchell Systems Global Artistic Director Robert Cromeans, who congratulated Gocha on her salon opening and thanked her for being a longtime supporter of Paul Mitchell hair products. 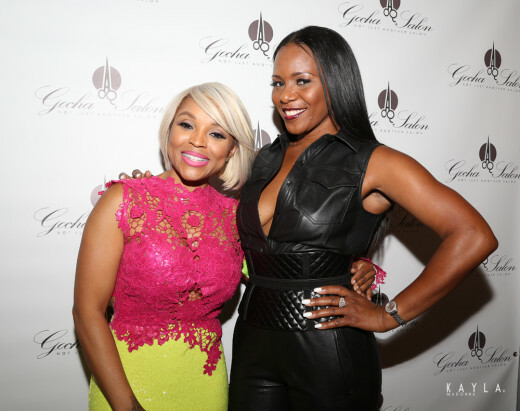 Additional guests included Phaedra Parks and Carmon Cambrice of “Real Housewives of Atlanta;” “Married to Medicine” cast members Dr. Heavenly, Lisa Nicole Cloud, Quad Webb-Lunceford and Toya Bush Harris; “Cutting It: In the ATL” cast Maja Sly, Dedra Allen, Beautii Joseph, and LaKenya Morris; Erica Dixon (“Love & Hip Hop: Atlanta”); Toya Wright, Latavia Roberson, and “L.A. 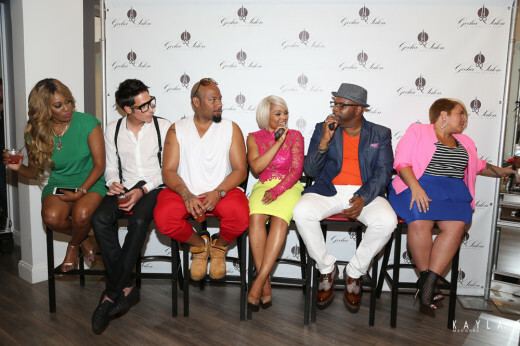 Hair” cast members Kim Kimble, Jonathan Antin, China Upshaw, Terry Hunt, Anthony Pazos, Dontay Savoy, and Naja Rickette. 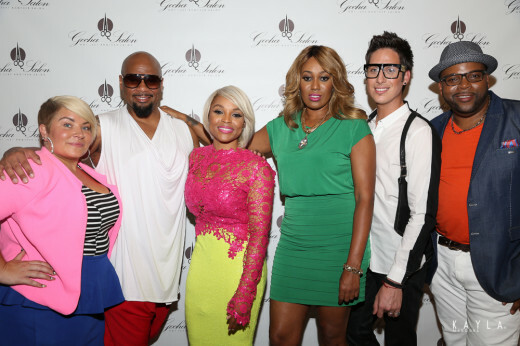 The cast of “L.A. 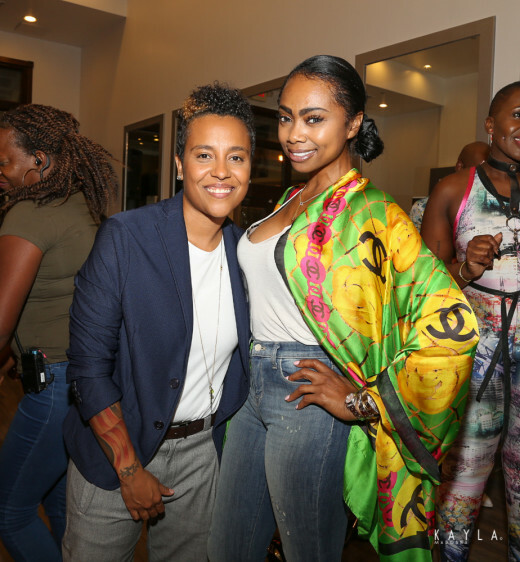 Hair” sat down with hair blogger and BOSSIP editor Alexis Felder for a brief Q&A followed by more photo opps, laughs, drinks and selfies. 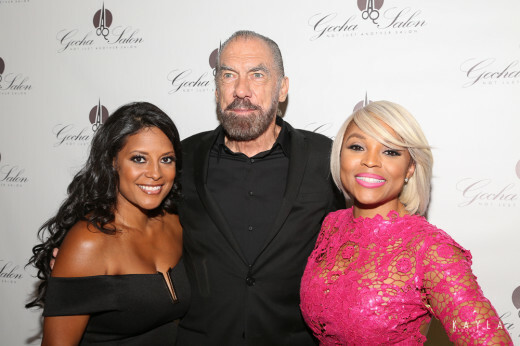 At the end of the party, Gocha thanked the guests for attending and reminded them that Gocha Salon is open six days a week (on Sundays!) 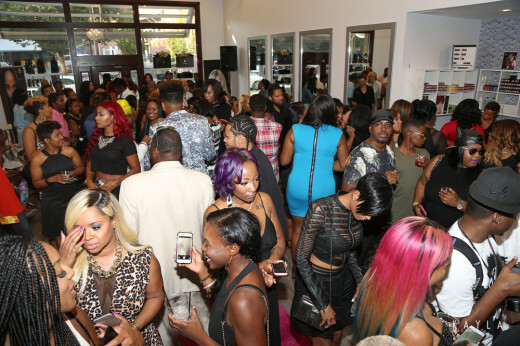 and is available as rental space for events. 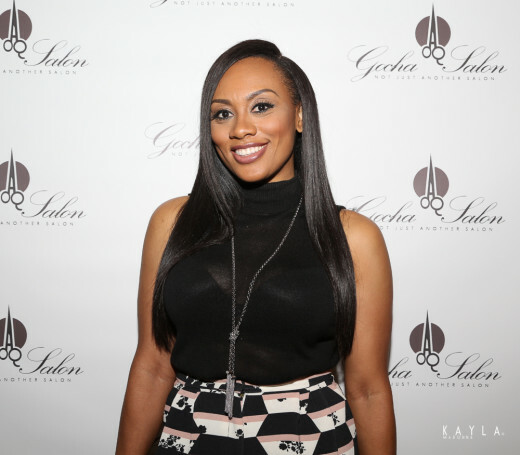 For more information, visit www.gochasalon.com. 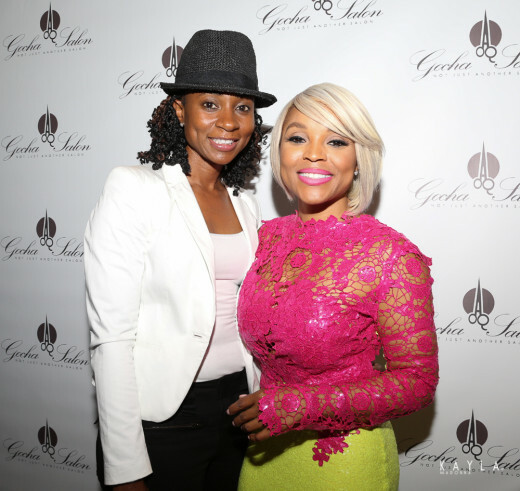 Congrats to my girl Gocha on an epic grand opening. 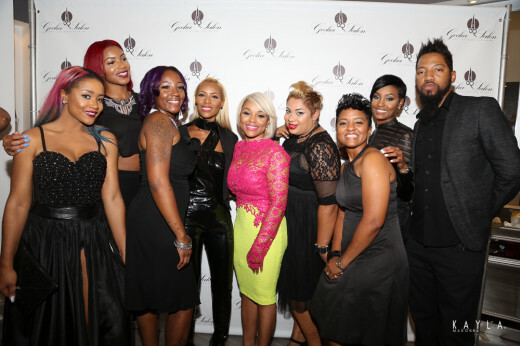 Atlanta ladies and gents be sure to check out Gocha for all of your beauty needs. 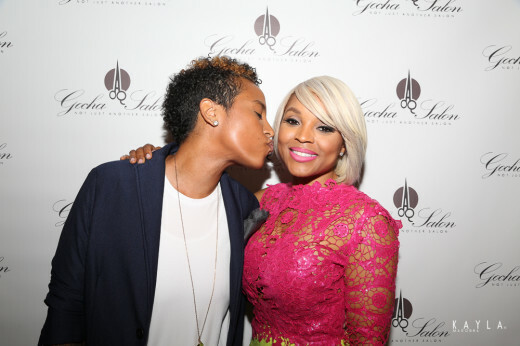 Check out the fun pics below. 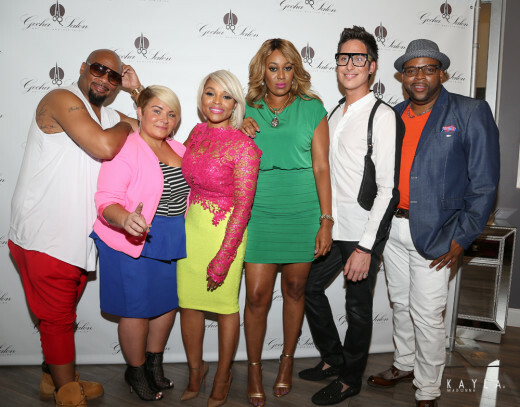 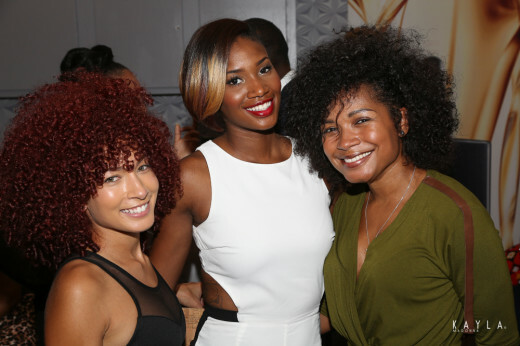 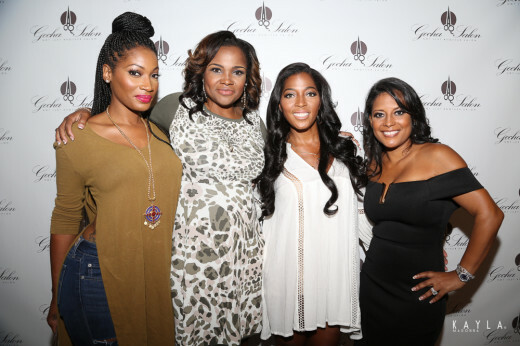 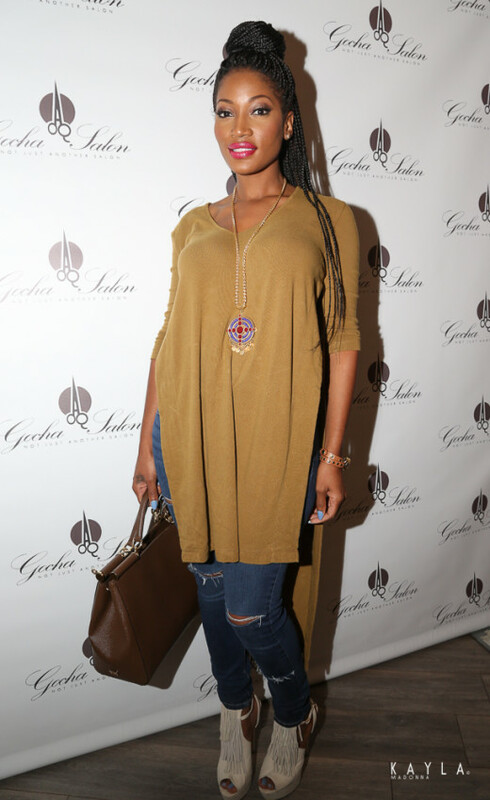 PHOTOS: #WeTv Hosts Private #CuttingitintheAtl Screening in Atlanta! 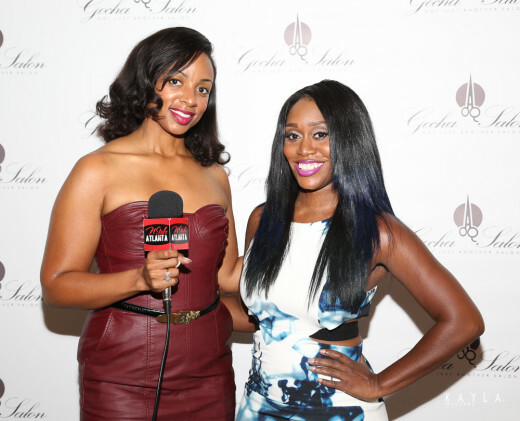 Tune in Tonight on TV One !